a2zFlats offers the most comprehensive and user friendly property advertising services for buyers and sellers in India and abroad. The site is open to all and is aimed at empowering homebuyers and the Northeast real estate industry with up-to date information related to availability of residential/commercial property in Northeast. The site has been developed specifically for the Property in Northeast, Flats for sale in Northeast targeting the potential customer across the world. Property buyers & investors can get comprehensive details of Flats in Northeast with the features as price, area, locations, specifications, floor plans, other features, home loans etc. 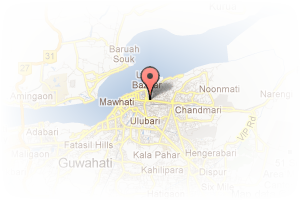 Address: Near NRC bylane, Bhangagarh, Guwahati, Assam, India. 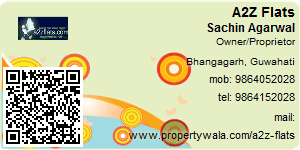 This Broker Profile page for "A2Z Flats" has been created by PropertyWala.com. "A2Z Flats" is not endorsed by or affiliated with PropertyWala.com. For questions regarding Broker Profiles on PropertyWala.com please contact us.